The original roots of Port wine date back to 1678 when two English merchants stumbled across this slightly sweet wine at the monastery of Lamego, just north of the Douro Valley in Portugal. It was almost 80 years later before it was established as the first protected wine region, or appellation, in the world according to our Port Wine Guide. Stated simply, Port is the classic example of a fortified wine produced by adding alcohol (brandy) to stop the fermentation process before it finalizes. The end result is a wine that retains a good amount of residual sugar giving it different levels of sweetness based on when the process is halted, among other factors. Our Port wine reviews note that Port is exclusively produced in the Douro Valley of Portugal. 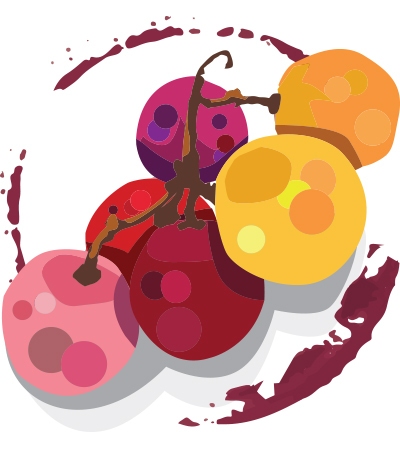 While there are hundreds of grapes that are sanctioned for the production of port, the five varietals that are utilized almost exclusively are Tinta Barroca, Tinta Cão, Tinta Roriz (Tempranillo), Touriga Francesa, and Touriga Nacional. There are around 12 different key port styles ranging from those that are matured in bottles and age at a relatively slow rate (Ruby, Reserve Ruby, Rose, LBV, etc) to those that are barrel-aged (Tawny, Reserve Tawny, Colheita, Garrafeira, etc.). Our Port wine ratings provide more detail on all the different styles and how they fare according to our tasting and review staff.